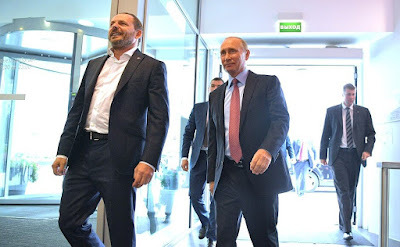 Vladimir Putin visited the office of Yandex IT company in Moscow, Russian leading internet service IT company. Vladimir Putin and Yandex CEO Arkady Volozh. Vladimir Putin was accompanied by Yandex CEO Arkady Volozh. 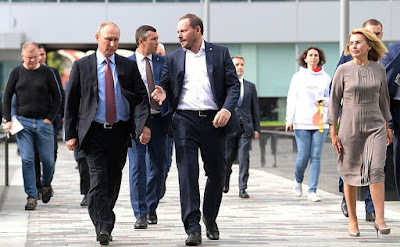 Yandex COO Alexander Shulgin and CFO Greg Abovsky told President Putin that the company has about 7,000 employees with average age of 30 years. Most of them have graduated from Russian leading universities. Yandex marked its 20th anniversary on the 23th of September, the day when the Yandex search engine was launched in 1997. Russian President was briefed on the main areas of the company’s operation, such as Yandex.Search, the most popular search engine in Russia, artificial intelligence projects and the company’s online services in telemedicine, education, business and transportation. Vladimir Putin in Yandex office, watching at the voice assistant Alice. One of the company’s latest projects is voice assistant called Alice, which provides weather updates and answers questions about city routes. You can use voice commands or type in your questions. Alice is a unique device: unlike other voice assistants, it can simply chat. Alice is not based on the keyword recognition principle but analyses large volumes of information before providing an answer. Alice will be available on October 10. 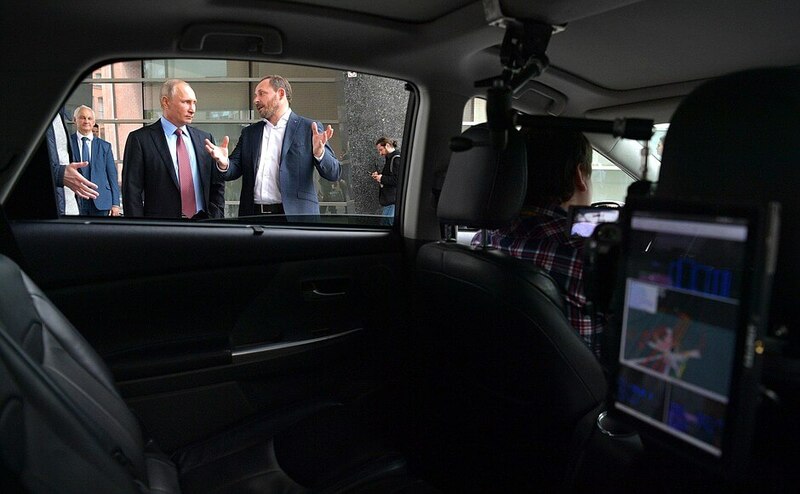 Vladimir Putin and a driverless car made by Yandex. 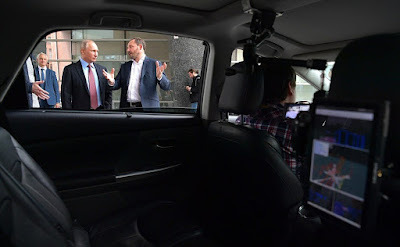 Vladimir Putin was also shown a working prototype of a driverless car that uses Yandex software. 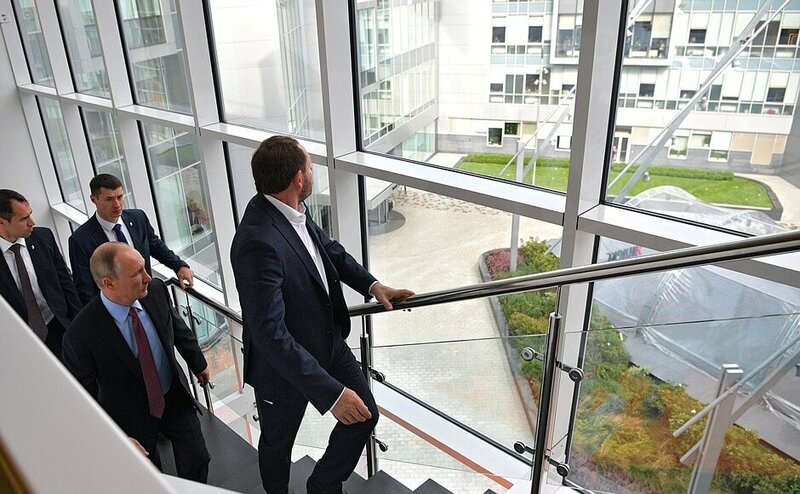 President Putin watched the car drive in the company’s yard. Vladimir Putin visited Moscow office of Yandex IT Company. With Yandex CEO Arkady Volozh. 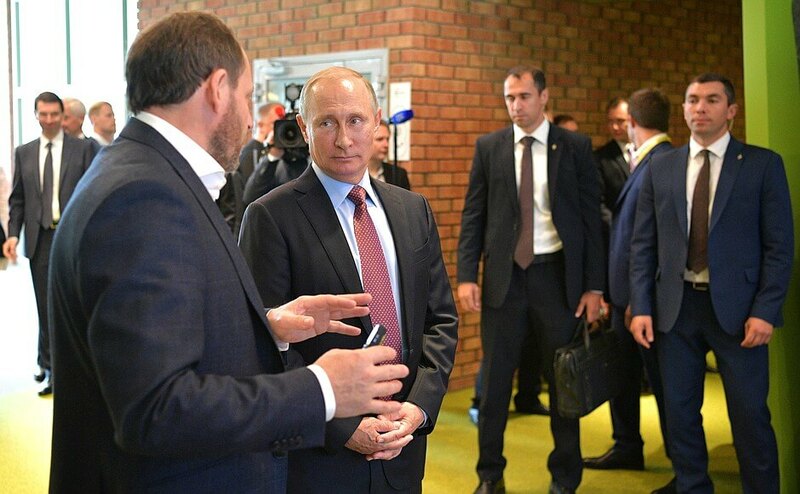 Vladimir Putin visited Moscow office of Yandex IT Company. 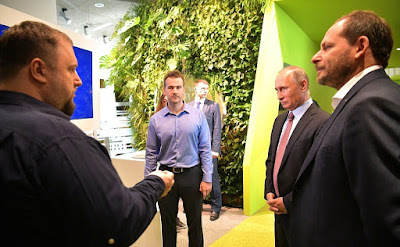 Vladimir Putin with Yandex CEO Arkady Volozh in Moscow office of Yandex IT Company. 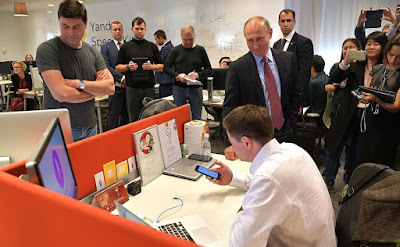 Russian President in Moscow office of Yandex IT Company. 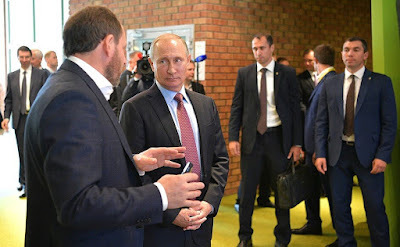 0 Comment to "Vladimir Putin visited Yandex "